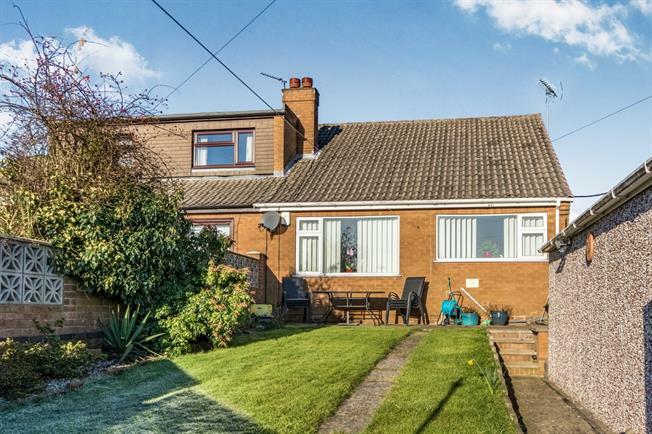 2 Bedroom Semi Detached Bungalow For Sale in Nottingham for Offers Over £130,000. Two bedroom semi-detached bungalow in a sought after location with garage and driveway. The property will be ideal for anyone looking to downsize. This home is well presented throughout and briefly comprises of; two double bedrooms with custom made wardrobes to the master, a large lounge diner overlooking the rear, kitchen and family bathroom. Outside is mainly laid to lawn with paved sections. A viewing is highly recommended so please call today.